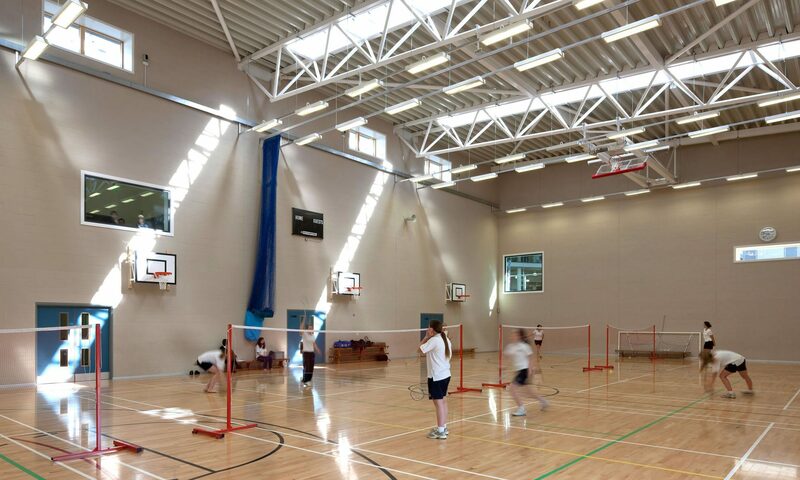 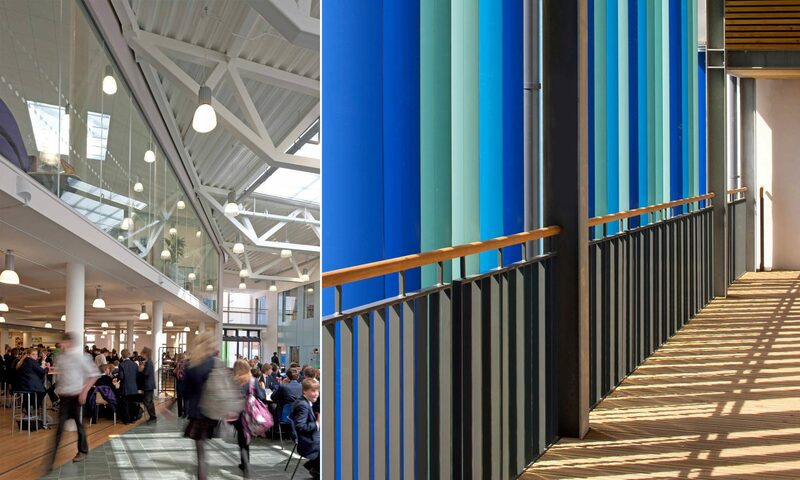 Re-Format worked with St John’s School, Marlborough, from inception to the completion of their new secondary school for 1600 pupils. 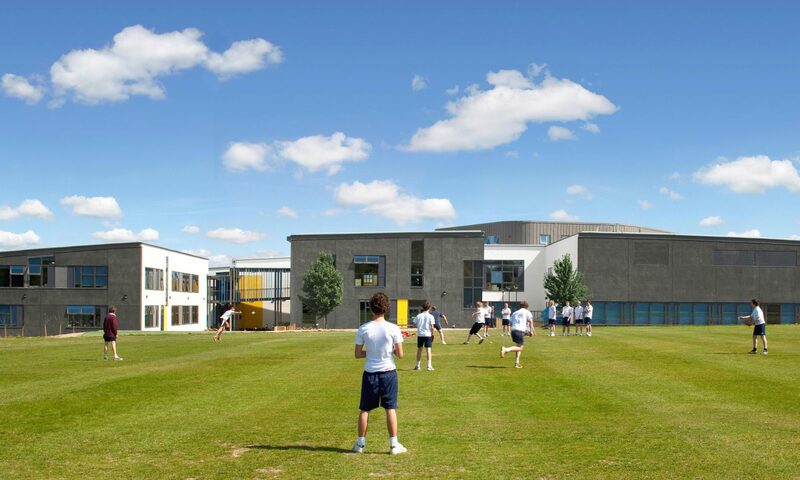 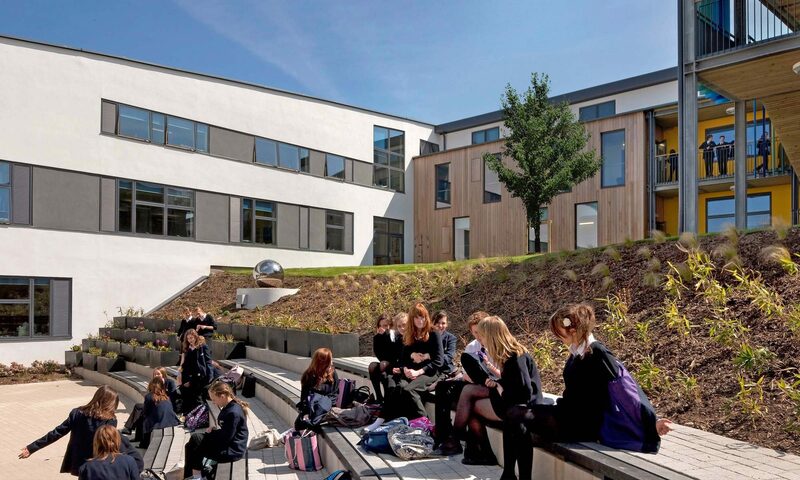 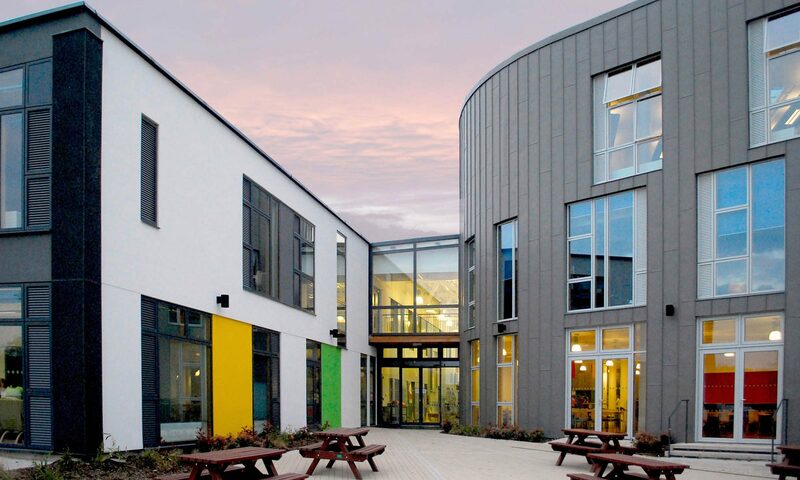 This new 8 form entry plus sixth form school was built alongside the existing working school which was then demolished with no interruption in educational services to provide an enabling housing scheme development. 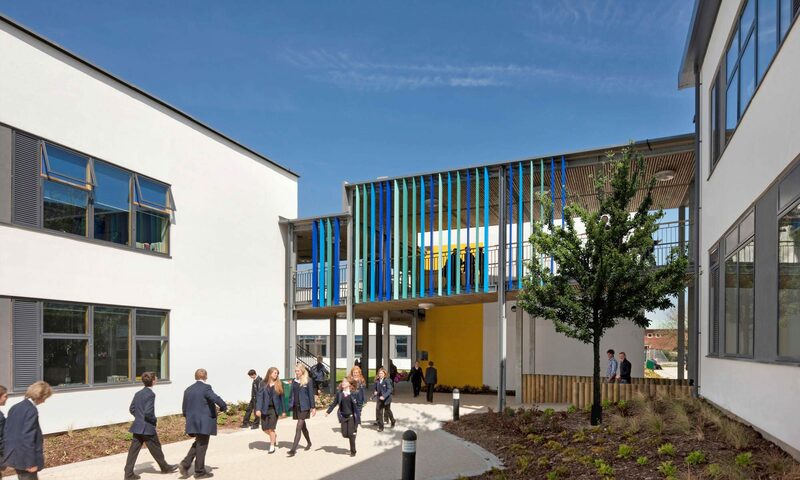 The design adopts a campus model based on functional building groupings around courtyards connected by the covered walkways which also serve as sheltered break time gathering spaces for the pupils.